HOPE – Community volunteers will fan out across Hope starting this week to engage the community in reading as part of the Hope Public Schools Early Literacy Initiative. Business leaders, public officials, school administrators and firefighters began the push through the Cat Cub Reading Club on Friday, with volunteers reading to kindergarten, first and second grade classes at Clinton Primary School. The volunteer effort will continue each Friday through May, and anyone wishing to participate should contact Ken McLemore, HPS district communications director, at ken.mclemore@hpsdistrict.org online or at 501-519-0530. 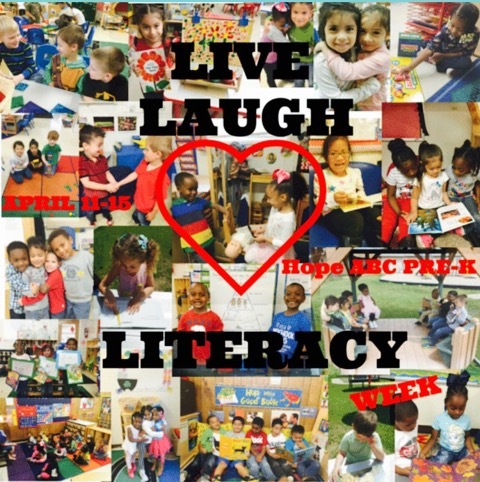 A week of early literacy events is also planned April 11-15 at the ABC Preschool on the Garland/HAPS campus during Pre-K Live, Laugh, Literacy Week. Preschool Supervisor Marilyn Hampton said each day of the week will be devoted to a thematic event and/or volunteers reading to classes at the Pre-K campus. Monday is “Reading Under the Sun” day with a book parade of the students’ favorite books at 9:30 a.m. and an outdoor reading period as each class dresses for the day in specific colors for the celebration. Tuesday is “Superhero Day” when students dress as their favorite story superhero, and Pre-K classes will visit the Hempstead County Library. School district administrators will read to Pre-K classes not attending the library, Hampton said. Wednesday is “Storybook Character Day” with discussions of favorite storybook characters, a trip to the Hempstead County Library, and reading to classes by parents and community volunteers. “Sports Day” on Thursday will feature reading to classes by members of the Hope High School Bobcat Soccer Team, and Friday is “Career Day” when officers of the Hope Police Department will read to Pre-K classes. The Hope Public Schools District is also soliciting participation by local businesses in the “Hope Book of the Month,” the third phase of its public early literacy effort. Business owners and local professionals will be encouraged to display a poster asking parents to sign up for the book of the month, and providing order forms for the selected book through Scholastic Books. Posters and book order forms may be obtained from McLemore’s office at Hope High School. Tied thematically to popular films shown at Hempstead Hall on the University of Arkansas Hope-Texarkana campus, each book of the month is intended to be an outlet for parents to read to their children, according to Hope Schools Superintendent Bobby Hart. The current offering “Boy + Bot” by Ame Dyckman is available for $3. The book involves a boy and a lost robot and is featured prior to the showing of the latest “Star Wars” film, “The Force Awakens,” Saturday at 6:30 p.m. at Hempstead Hall. Taken together, Hart said the initiative is the community component of an effort to ensure that all Hope Public Schools students in grades Pre-K through three read at grade level by the time they reach the third grade.